You do not need to send a log. 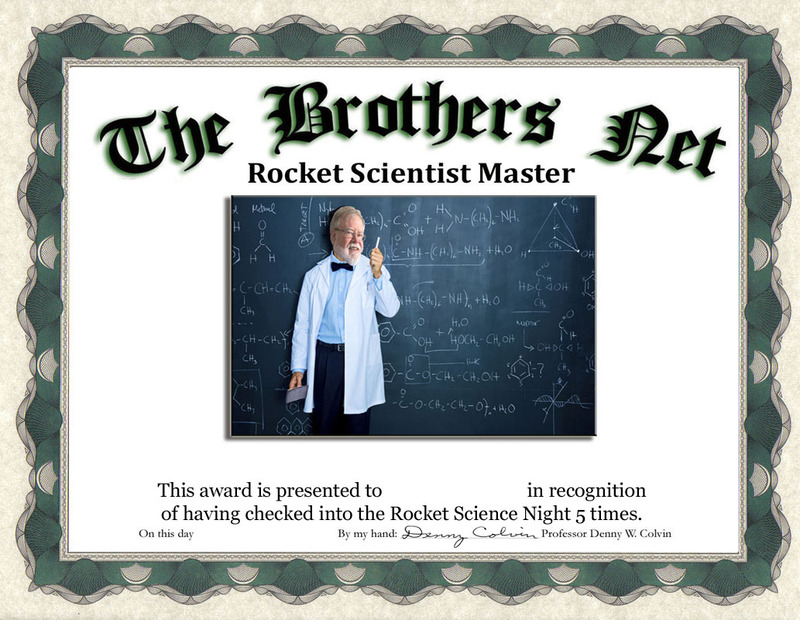 Be sure to state what award you are claiming. be certain to use Family & Friends for no service charge. We do the Honor System. 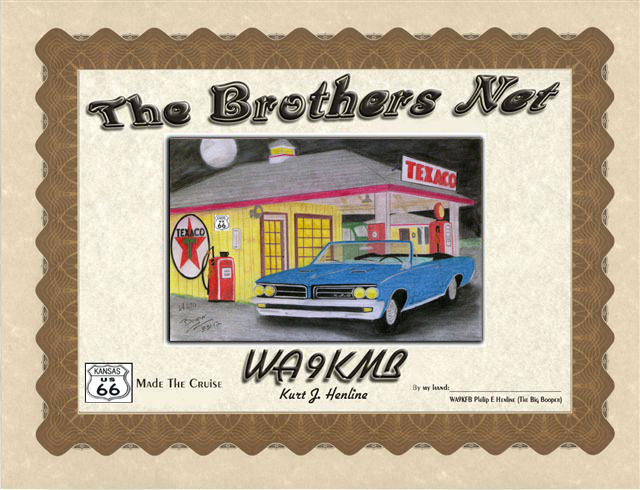 To obtain a "Cruisin Route 66"
award...Check in 5 times with Phil WA9KFB on Route 66 Night. There are several Route 66 awards available. You can collect as many as you like. 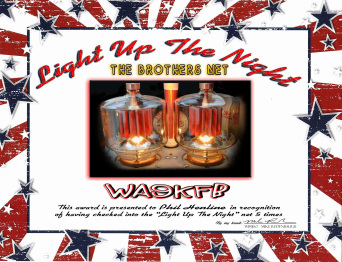 After you have recieved your first award, check into Route 66 night another 5 times and select your next award. 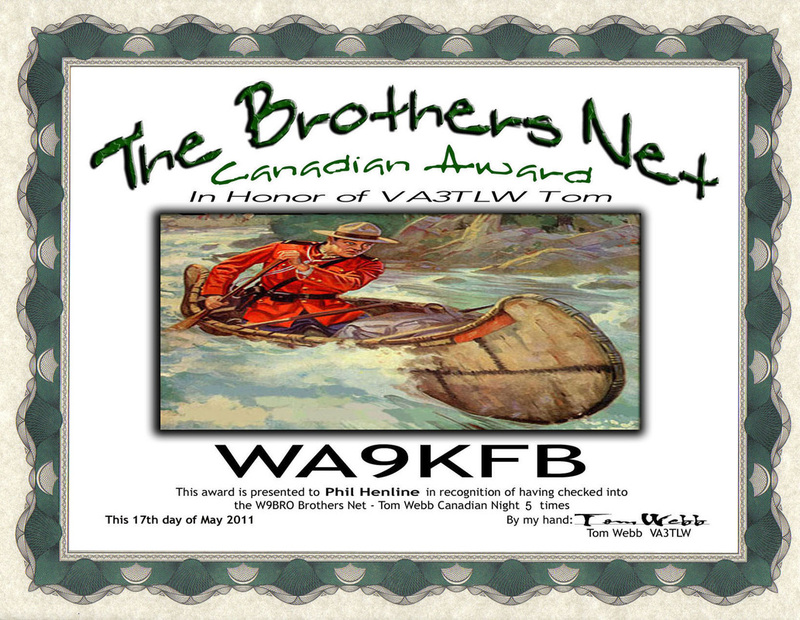 Check in 5 times with either Tom VE3TLW or Steve VE3UYI on Canadian Night. Send $3.00 for your award. 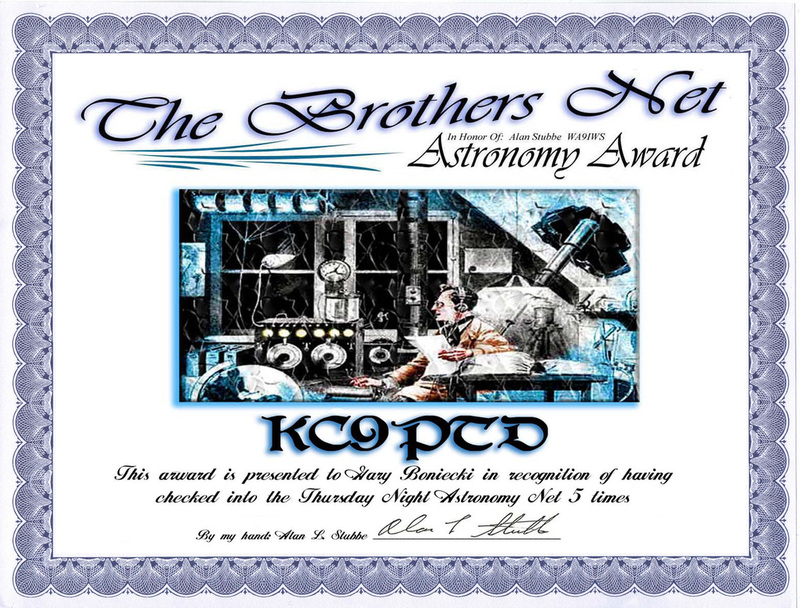 Check in 5 times with Al WA9IWS on Astronomy Night. 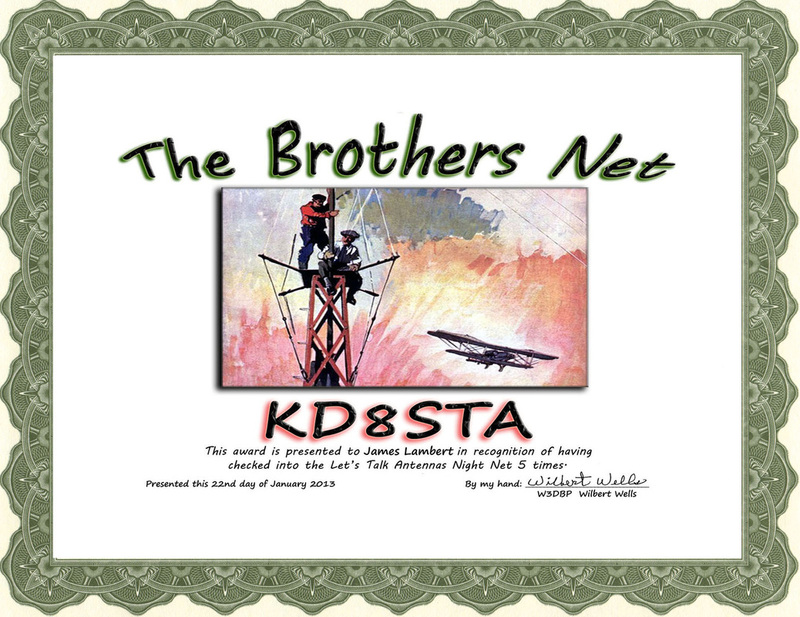 Check in 5 times with Wilbert W3DBP on Let's Talk Antennas Night.